All sales are final. Tickets, Memberships, and contributions are nonrefundable. 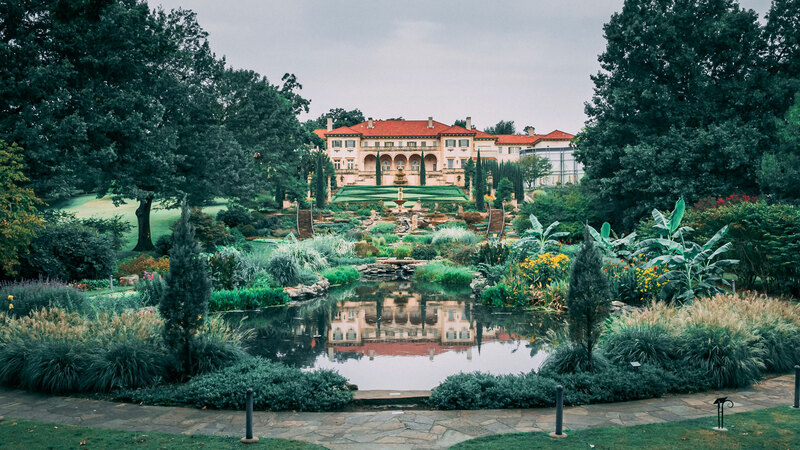 In the event of a Museum closing or complete cancellation of a program, tickets may be re-booked or refunded at the discretion of Philbrook Museum of Art. You can order tickets and make reservations online anytime, day or night. Visit my.philbrook.org for booking and details. Be sure to note that not all exhibitions, programs, and events offer online ticketing. To purchase tickets and make reservations in person, visit one of the Welcome Desks to speak with a member of the Guest Experience Team during regular Museum hours. To purchase tickets or make reservations by phone, call the Philbrook Guest Experience team at 918-748-5300. Note: In-person reservation assistance only available during regular Museum hours. All customer information provided during sales is securely stored for completion of sale and reporting. Customer address information may be used for future mailings and offerings unless otherwise requested. If you have any questions or comments, or would like more information, please e-mail Philbrook Guest Experience team at guestexperience@philbrook.org. Please do not include credit card or other payment information with your e-mail message.